_ WINTER: family resort, 13 ski runs, snowpark, cross country skiing, snowshoeing, ski touring. Apart. surprisingly easy to reach without stairs, balcony on 1st floor level, area: parking, shops, departure for .Terrasse tracks (facing Lake FABREGES, and the town square) closed by a bay window. ROOM: with folding bed (140-200), nine télé.Coin equipped kitchen: with ceramic hob, dishwasher, long work plan, etc., cabin with 1 sofa bed and 1 bunk bed. _Possibilité Also go skiing in Formigal (SPAIN) located 12km (one station among the best equipped Pyrénees) many shops. MONDAY TO RATE FRIDAY: 28 € / day. "The appartment was compact but well laid out, recently refurbished with good quality fixtures and fittings and fully equipped kitchen. It was off season so quiet apart from a bit of noise from the shop below opening up and the cable car. The view was not quite as advertised but still nice and the location was ideal for walking or skiing. The access roads were good." Perfecto para darte buenos pateos por la montaña. Esta justo al lado del telecabina que te sube al tren de artouste. El sitio es espectacular. El apartamento lo justo y necesario para descansar. "Nous avons été satisfait de notre séjour. L'accueil et l'environnement du lieu ont été à la hauteur de nos attentes. "Beaucoup de neige, village très agréable. "El apartamento estaba muy limpio y muy nuevo, mucho mejor que en las fotografías. Es un lugar ideal para descansar con un entorno magnífico. La cocina está totalmente equipada y el dueño fue muy amable con nosotros, sin duda, si vuelvo por aquella zona para esquiar repitiré." "appartement agréable et bien équipé,tres facile d'accès( de 10 m du lieu de déchargement du véhicule),près de tout.De plus, Mr M. est très sympathique et arrengeant." From BORDEAUX: take the A62 exit LANGON and Aire-sur-Adour N134 to Pau. From TOULOUSE: A64, Exit No. 11 Soumoulou and Pau. Since BAYONNE: the A64, exit 9 Artix and Pau. - Pau Pyrénées airport 50km. _PAU And its rich history is 40km. _LOURDES Place of pilgrimage is 60km. -the theater festivalde Lyrics Ossau early August. -The traditional festivals Laruns 15 August. PRICE REDUCED: 87. € 50. In 2012 the Petit Train d'Artouste celebrated its 80th anniversary! Created to transport men and materials needed for the construction of the dam of Lake Artouste in 1920, in 1932 the Petit Train d'Artouste was exploited for tourism purposes. 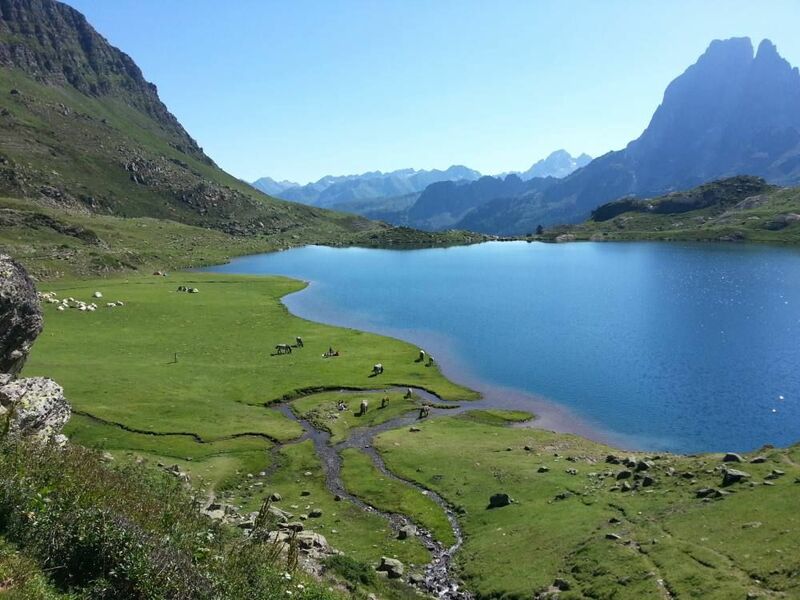 Initially Lake Fabrèges a meteoric rise, from 1250 m to 2000 m, on board "eggs" you can admire a magnificent panorama with crosshairs the Pic du Midi d'Ossau. Once at the top, enjoy the view of the peaks for a photo stop before boarding the legendary Petit Train d'Artouste. A peaceful pace, mountainside, enjoy the journey of 50 minutes to admire the view overlooking the Soussouéou Valley and Lake Artouste. You can observe marmots or admire the typical flora of this glacial valley. In summer, this valley became a showcase of Val d'Ossau pastoralism, take the opportunity to go out and meet shepherds and their flocks.